Watford have confirmed they will retain striker Troy Deeney after talks with the player and his representatives. The 24-year-old was given a 10-month sentence following his conviction for affray in June but was released from prison earlier this week. Deeney, who recently issued an apology and has met with the club, will keep his registration at Vicarage Road. "[Watford] believes it can play a key role in facilitating Deeney's rehabilitation," a statement read. "[We] will be closely monitoring all aspects of the forward's activities connected with Watford FC." 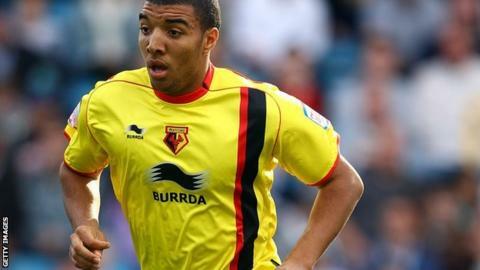 Deeney pleaded guilty to affray for his role in an attack on a group of students in Birmingham in February. The striker had been awarded a 12-month contract extension by the Hornets in March and finished last season with 12 goals.